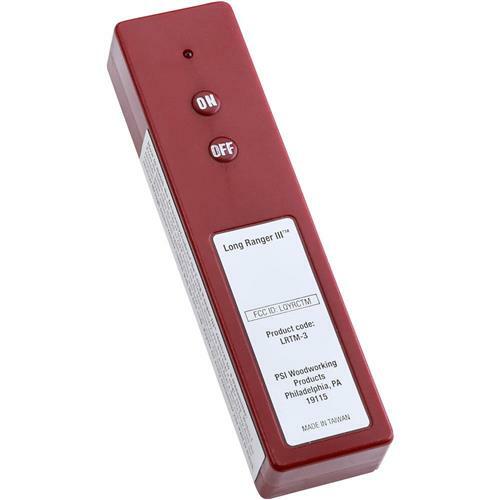 This Transmitter is for the G4699 and G4700 Long Ranger III Remote Control that can turn your dust collector on or off from as far away as 75 feet - even through wood and concrete floors, walls and ceilings.Please note: This Long Ranger III transmitter only works with the G4699 & G4700 Long Ranger III remotes; it will not work with older versions. This Transmitter is for the G4699 and G4700 Long Ranger III Remote Control that can turn your dust collector on or off from as far away as 75 feet - even through wood and concrete floors, walls and ceilings. Please note: This Long Ranger III transmitter only works with the G4699 & G4700 Long Ranger III remotes; it will not work with older versions. This is a replacement for the one I broke. The instructions for mating the unit were easy to follow and worked first time. Keeps my shop operating efficiently.